The Albuquerque Convention Center is in the heart of the old historic center of the city, so you'll have plenty of exploring to do when you're not forging new connections at your trade show. Use our amazing selection of trade show displays and exhibiting solutions to ensure that your company makes it mark in Albuquerque. When you're done, enjoy the authentic Mexican food, sunset, and beautiful weather in this gem of the south! Trade Shows can be costly but investing wisely in the right trade show display will ensure that you create the best return on your investment! Where is the Albuquerque Convention Center Located? The Albuquerque Convention Center is located at 401 2nd St NW, Albuquerque, NM 87102. It is the largest convention center with over 270,000 square feet of space. Graphic displays are 74 percent more attention-grabbing than standard velcro displays. If you’re serious about having a substantial influence on the public, visual displays are worth exploring. Should you decide to pursue this avenue, portable exhibits, fold-down stands, pop up booths, and 10x10 booths are suitable alternatives to conventional displays. 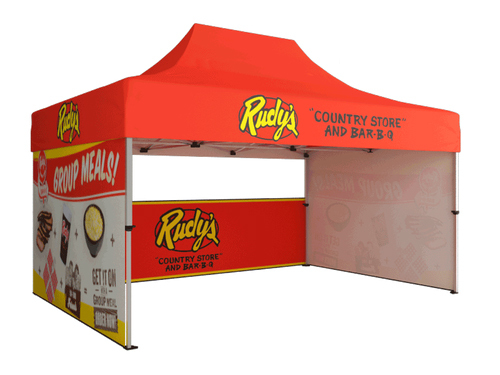 Do away with stale designs and poor product conveyance by employing graphic trade show booth displays. No doubt a lucrative business move, exhibiting at trade shows allows your brand to reach a sizable audience. For most companies, trade shows provide an excellent opportunity to entice prospective clientele. Above all else, it lets your competitors know you’re passionate about your brand, making you a formidable opponent in the industry. It also sends a strong message to the public. Partaking in trade shows demonstrates your commitment to the success of your brand, letting potential consumers know that you’re devoted and earnest. The importance of properly promoting your booth can’t be stressed enough. To put it mildly, inadequate marketing will render your booth insignificant, making it secondary to the array of exhibits you’re up against. With that said, sufficient pre-trade show advertising bodes well for a substantial turnout. So, campaign and market to your heart’s content in the weeks leading up to the event.